With the Autumn Internationals nearly upon us, and the 2015 Rugby World Cup less than a year away, Dove Men+Care have teamed up with the home nations to offer rugby fans an inspirational insight into the passion and values behind the sport we love. 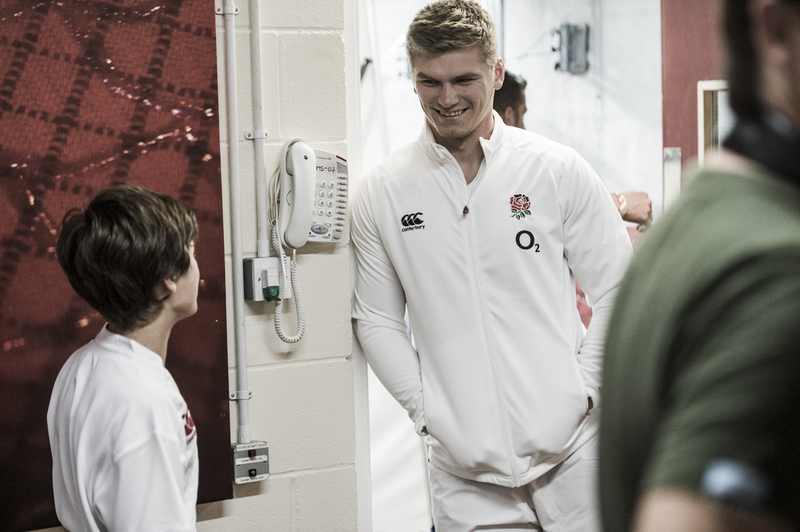 Under the title #scrumtogether, players including Owen Farrell, George North, Greig Laidlaw and the injured Cian Healy provide an alternative version of Rudyard Kipling‘s iconic poem ‘If’ in the imposing settings of an international dressing-room and tunnel. The stars, who will be hoping that it is when, rather than if they can overcome their southern hemisphere rivals in the coming weeks, talk about the importance of belief and respect in the “battle” of international rugby. With reference to Kipling’s work, Laidlaw ponders “If you can give a rousing team talk, yet have a wise word in the new boy’s ear”, while Ross Ford asks “If you can instil belief in your men, and keep their heads up even if you’re 10 points down”. Courtney Lawes, Sam Warburton and Luke Fitzgerald also feature, before a young mascot accompanying Farrell down the tunnel provides the finishing touch as Kipling intended it. It is a rousing spectacle, and although it’s unlikely to see any of the players vying for Oscars in February, it is a great way to prepare for what should be an explosive set of fixtures this autumn. 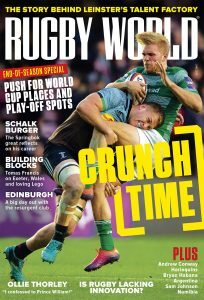 For all the fixtures, news and views from the Autumn Internationals, the run up to the 2015 Rugby World Cup and more, why not subscribe to Rugby World? Click here for the latest deals & discounts, and find out how to download the digital edition here.